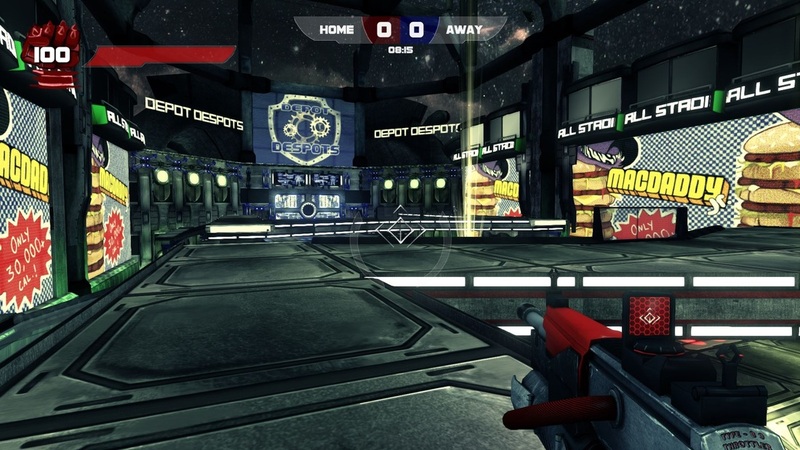 RoboBall is an epic capture-the-flag style game where players choose between two classes, the Forward or Defender, and fight over a ball in a stadium arena. The goal of the game is to grab the ball from the center and the shoot it into the opponent's goal to score. 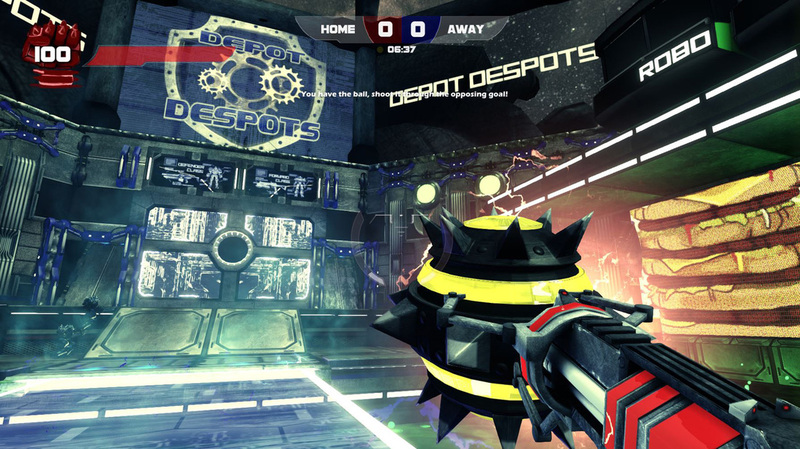 The Defender is a bigger, slower robot with a grenade launcher that can also deliver a powerful force push to knock opponents back into the acid! 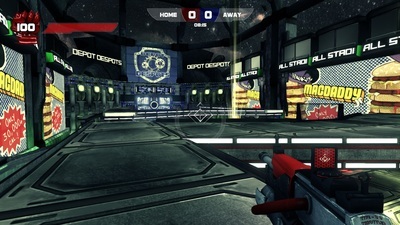 Each class also receives the Ball Gun, which only appears once a player picks up the ball (players cannot switch between weapons). 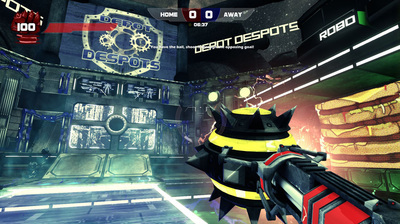 The ball gun allows players to lock onto their teammates to pass the ball or deliver a one-hit-kill electrical pulse at close range. Make a fun and engaging version of Capture the Flag. Make it easy for players to know where they are and where the ball is at all times. Make a visually interesting level that follows the theme of the game. When we first began making the layout for RoboBall we decided to make the level based off of a junkyard arena theme. It had high walls, lots of cover and was difficult for teamwork to blossom. 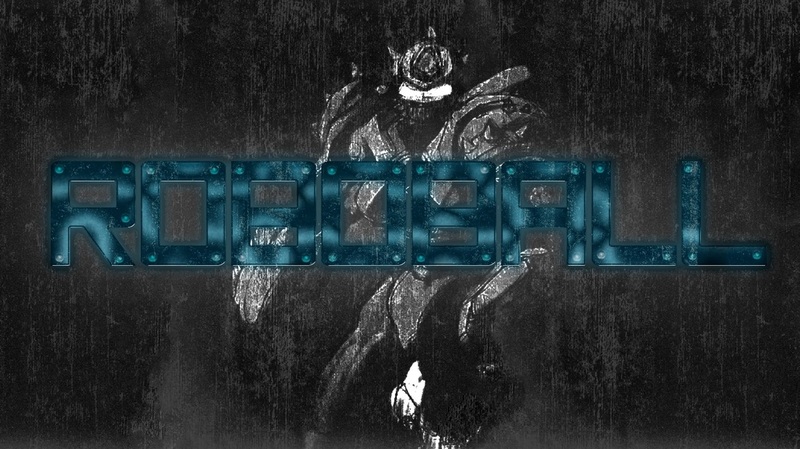 After whitebox we decided to go into a different direction and opted for a more clean and open hi-tech look. The layout of RoboBall stayed mostly the same since then, sans an underground route. 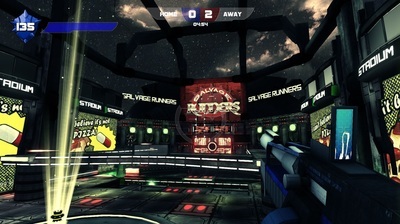 The current layout features an open area with multiple levels, a spawn where players can see out across the entire arena, hazards on the sides and in the middle, and Light Bridges that turn on/off periodically. 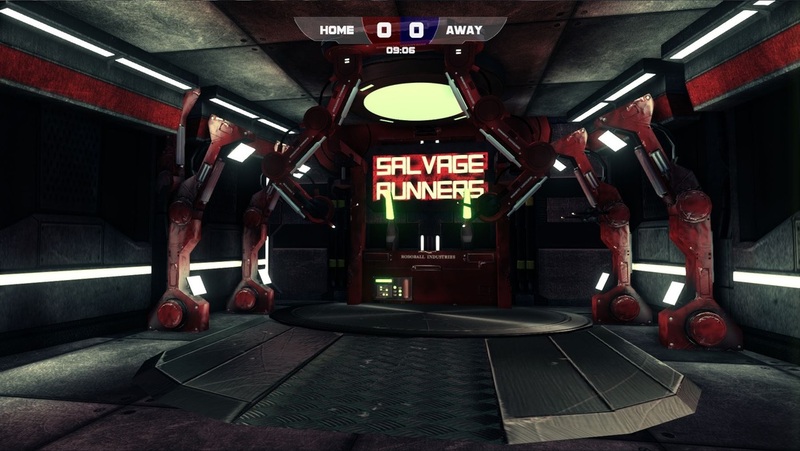 These all combine to help push the teamwork based gameplay we wanted for RoboBall. ﻿Hazards﻿ were something we really wanted to have in the level since day 1. The entire arena is surrounded by and acid pit that instantly kills the player if they fall into it. 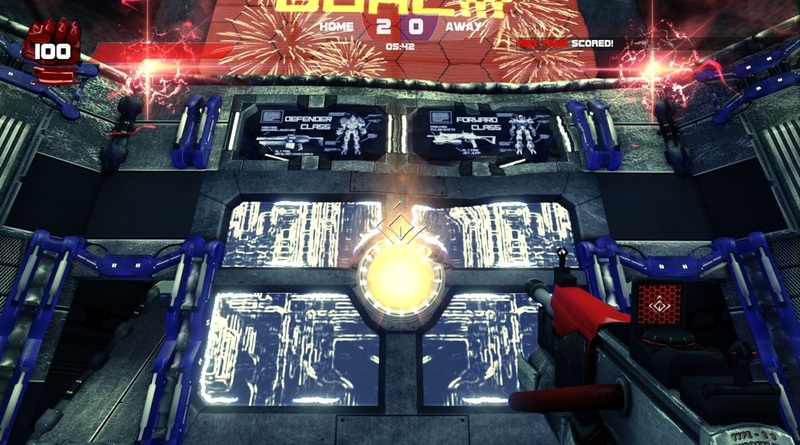 We also wanted the ball spawn to be a point of high contention, so we put the ball spawner on a thin bridge that went over a Shredder pit that would instantly kill players that fell into it. Both of these types of hazards went well with the class abilities. 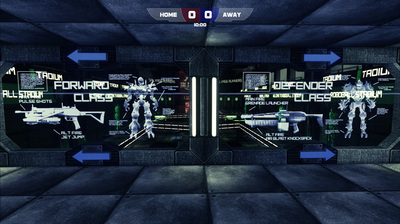 The Defender could try to knock the enemy into them, while the Offense could double jump out of danger if they were quick enough. The RoboBall Ads and Goal Screens use "If" statements with parameters that are connected to Kismet/Matinee functions. The 'If" statements choose what the material should display depending on which parameters are turned on/off. Team Dynamic - As a team, we all worked together very well and had a good group dynamic. Whenever a big problem came up, we all got together to try and fix it. This led to everyone being able to communicate well. We were also able to take our feedback and build upon it. 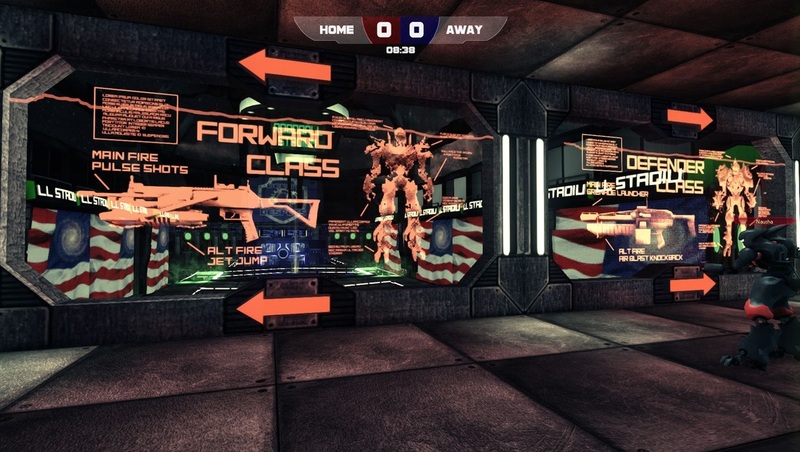 This led to us changing the level and art theme dramatically after our Whitebox milestone. The team realized after Whitebox that what we had just wouldn't work, so we decided it had to change and we put in a lot of effort and work to fix it. 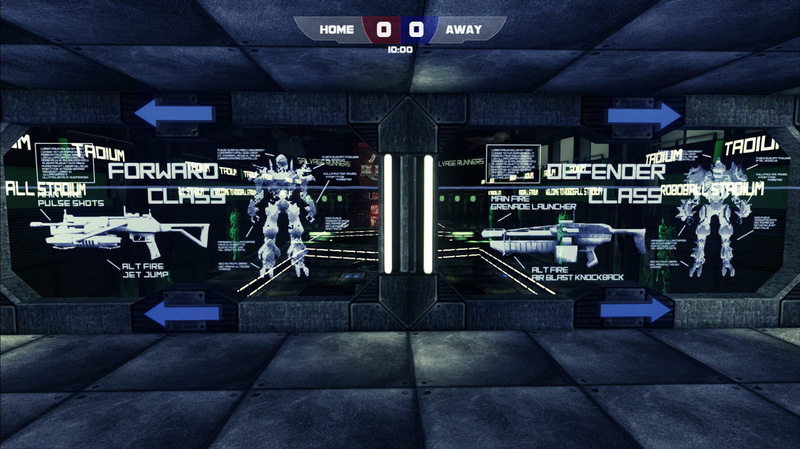 Within two weeks, we were able to design out a new level layout and construct the level using art for our new theme. Cross-discipline work - I was able to step up and use my art background to help the artists by creating placeholder art. Also, because of our theme with tons of high tech stuff and emissive materials, I was able to take over as the Material Editor artist for the team. I constructed 90%+ of the emissive materials in the game and instructed the other artists on how it was done. Art Assets Came In Late - Because of our shift after Whitebox, our art team started to fall behind. 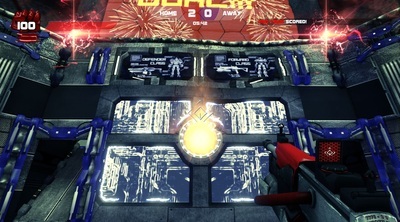 This meant that we would sometimes wouldn't receive assets to insert into the level until the day before a milestone. Designers would have to speedily insert in stuff, hoping it would fit. Working On One Level - Because we had 3 designers and only 1 level, there were a lot of times were we couldn't all work on what we wanted to in the level at the same time. We did not actual discover level streams for awhile, but even after it was still difficult to all work on it at the same time as a lot of stuff required being in the persistent level. This also meant the artists rarely got to go into the level and do an art pass. Design for Gameplay - First and foremost, I learned how to design for gameplay in mind more efficiently. 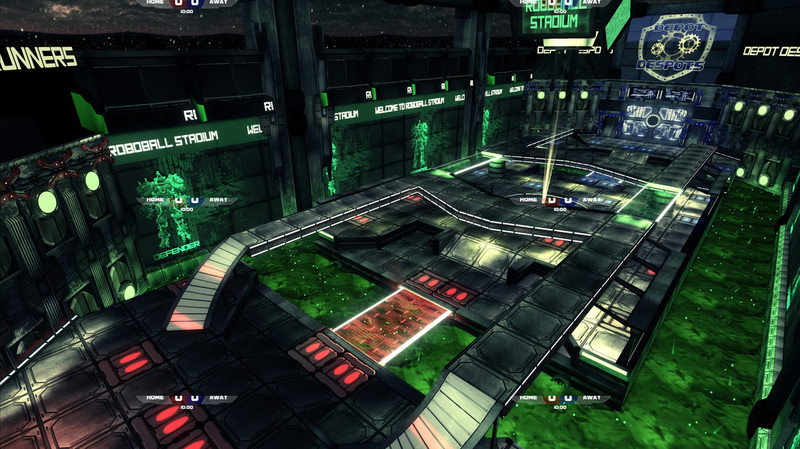 My first layout for RoboBall was not specifically built for RoboBall. 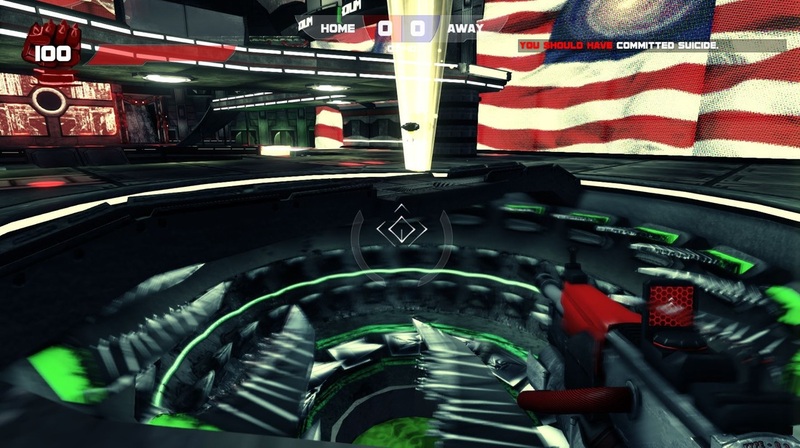 I had designed it just as a angled/mirrored map for a variant of Capture-The-Flag, not for a strongly team based game built around passing the ball. After the failure of our Whitebox milestone, I realized my mistake, and with the help of another designer we made a new layout for the level which would eventually become our final version of the level. Emissive Materials - Making so many materials for the game helped me to become very knowledgeable about the Material Editor in UDK. I designed and built many materials from the ground up without help from the artists. This helped the artists to be less burdened and let them work longer on some of the more critical pieces for the game.